The South East airport controversy continues. Business Travel News welcomes views regarding the problems associated with the London hub, and on 25 February published the views of Colin Matthews, CEO Heathrow. 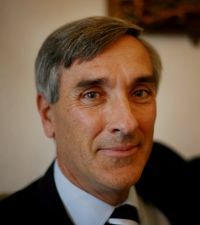 We follow with a piece by John Redwood and welcome further contributions. “I have recently co-signed a letter by several Conservative MPs to the Transport Secretary. We have asked him to speed up consideration of airport capacity in London. We think the UK needs to decide quickly where its main hub airport will be in decades ahead, and start investing in the extra capacity needed. We point out that it may not help at the next election to be unsure about where a major airport is going to be sited. Far from making it easier to attract votes around London, it could leave many places blighted by the prospect of a major new airport next to them. It also leaves many people with jobs in aviation and at Heathrow unsure of their positions. Howard Davies could speed up consideration and reach a conclusion this year if needed. The main arguments and plans for expanding Heathrow, for building an estuary airport from scratch, or expanding one or more of the existing airports for London beyond Heathrow are well known. It requires a decision. I would rule out immediately the idea of building a new hub airport from scratch anywhere west of London. I cannot see the advantage of changing sites from the present west of London location to another around twenty or thirty miles away, further out of the capital it is serving. I can see many political and economic disadvantages, and plenty of people who would oppose such a move. The cost would be huge, requiring a new set of train, underground and road links into the centre of London. Nor do I see much advantage of trying to shift the main hub airport from Heathrow to an expanded Gatwick or Stansted. It is true there is more land available at those locations than within the current perimeter of Heathrow. It would be a breach of past promises to place more runways at those places. They are further out of London, have poorer road links than Heathrow, and no tube links. To me the choice is between expanding Heathrow or building a new Estuary airport. From the days of Maplin onwards I have been a fan of a new airport with a large seaport to the east of London. Now I fear the success of Heathrow and the magnitude of the investment already made there makes it a difficult prospect. The transition from Heathrow to Estuary could be drawn out, expensive and damaging to the UK’s commercial interests. The airlines will be reluctant to go there at first. Trying to run two large airports near London will split service provision and make interlining difficult.